LOGAN, Utah — At age 76, Stan Checketts, it seems, is just getting started. Never mind that the renowned thrill ride inventor holds more than 20 major patents and a couple of Guinness World Records. 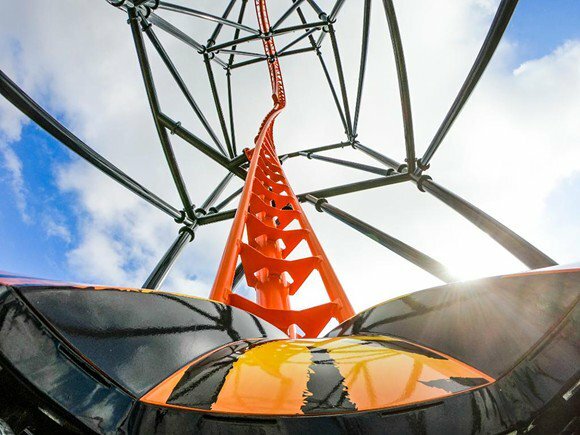 Or that the hydraulic and pneumatically powered tower and coaster marvels he has engineered have been delighting people in 28 countries around the globe for more than four decades. There’s just no quitting for a man who knows that the future is as close as his next big idea. 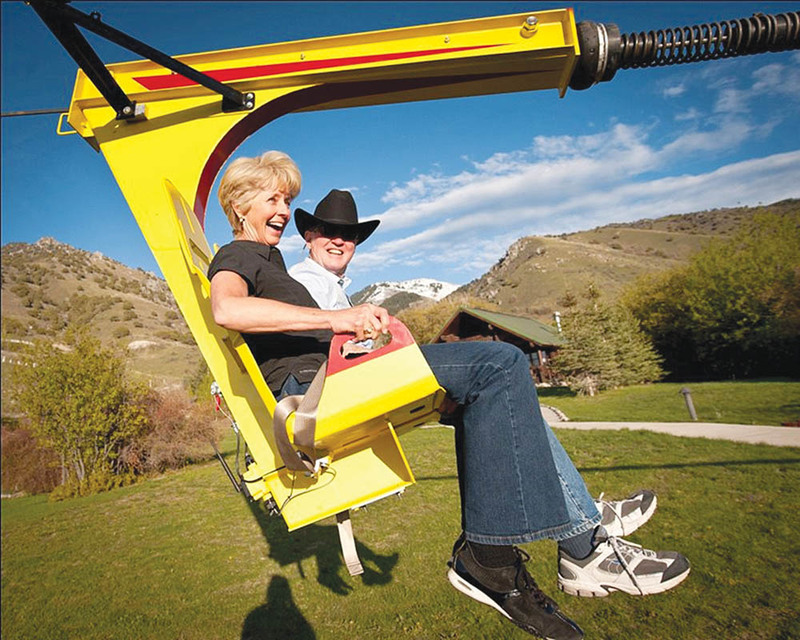 Life itself has been a wild ride for Checketts, who grew up poor in Providence, Utah, and later became the toast of nearby Logan when he founded his extreme ride company, S&S Sports, Inc. (now S&S-Sansei Technologies) there in 1994. Checketts is excited for Soaring Eagle, too. 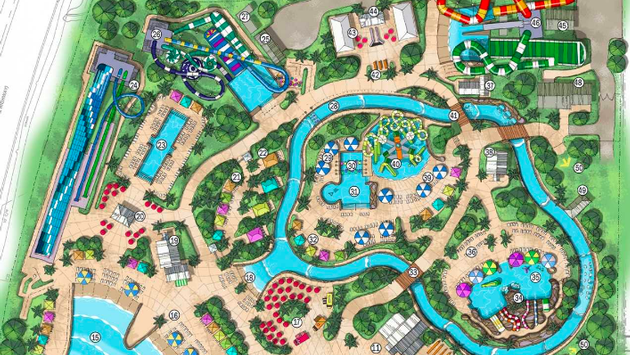 With major new ride installations opening between late July and mid-August at Glenwood Caverns Adventure Park in Colorado and Foxwoods Casino Resort in Mashantucket, Conn., the company’s crew of 15 — headed up Cody Davis, Soaring Eagle’s vice president and the CEO’s right-hand man — has been busy. Checketts exudes the confidence of someone who has made mistakes and learned from them. 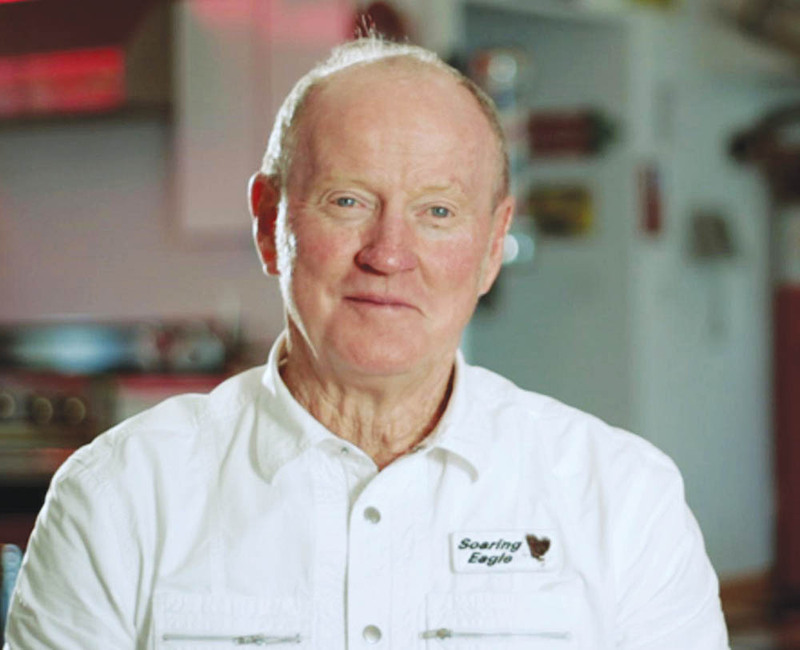 He credits his faith, his family and especially his wife of 35 years, Sandy — the other “S” in “S&S” — with keeping him energized, upbeat and centered. Not to mention adventurous: the couple enjoys tooling around the wide-open West on Stan’s Honda Goldwing as part of the Logan-based Renegade Rebels motorcycle club. Amusement Today managed to get the passionate fun-maker to sit still for a half-hour chat. How has business been at Soaring Eagle? We’re still putting ziplines all over. Our product is unique and really cool — a thrill ride as opposed to a traditional [gravity] zipline. It’s efficient, too: It launches from and returns to the same loading point, so you need only one employee instead of eight or 10 to operate it. The ride goes forward in one direction and backward in the other, so you get a different kind of thrill from each. It can even be installed at ground level with a 100-foot or higher pole at the opposite, distant point. The huge thing that distinguishes our zipline from most of the others is that it has a cart that carries two people seated side by side. 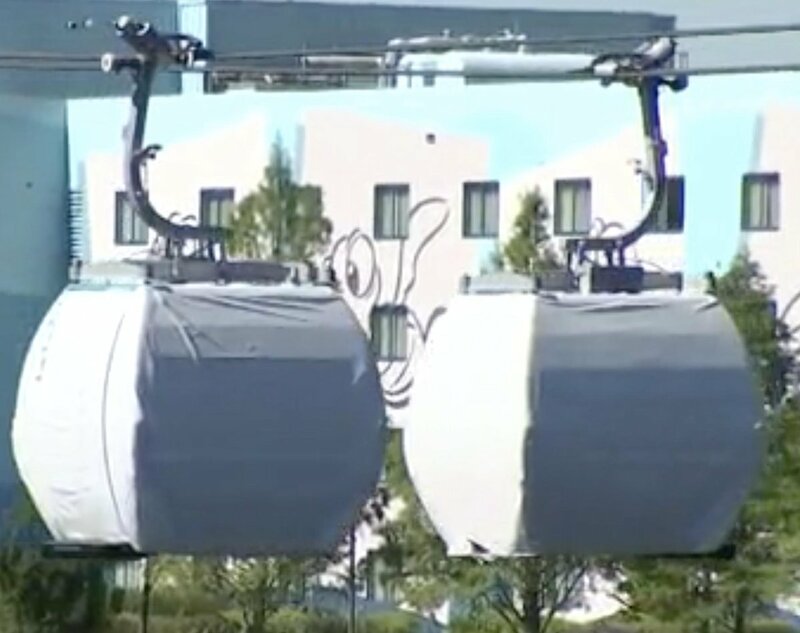 The ride has only seatbelts, so your legs and arms are free, but it also has sensors and is completely monitored, so it meets ASTM standards. Our ziplines are safe, fun rides. We’ve sold more than 60 of them around the world. People really love them. What else has your company been up to? One neat thing we’ve developed is our Aerial Dive swing ride, which we put on the edge of a cliff three years ago at Cave of the Winds Mountain Park over in Manitou Springs, Colorado. They named it Terror-Dactyl. You sit in a two-person cart attached to a cable, and then you’re comfortably harnessed with my less-restrictive restraint system. The cart hydraulically leans forward until you’re looking down at the bottom of a canyon. And off you go, swinging down about 200 feet. It’s intense, and it’s one of my favorite things that I’ve ever designed. We’ve been doing towers of 120, 150 feet with our Saddle Sling ride [two riders, secured back to back, flung and flipped skyward with limbs free] on one side and our Daring Drop freefall ride on the other. We’re putting one of those in at the Foxwoods in Connecticut. We’ve also done tower installations in Myrtle Beach [N.C.] and Branson, Missouri. Additionally, Soaring Eagle is offering a full thrill tower with dive, drop, saddle and zipline rides all in one structure. We’re building a 200-foot version right now to go into Pigeon Forge, Tennessee. Most of your innovations have been well above ground. 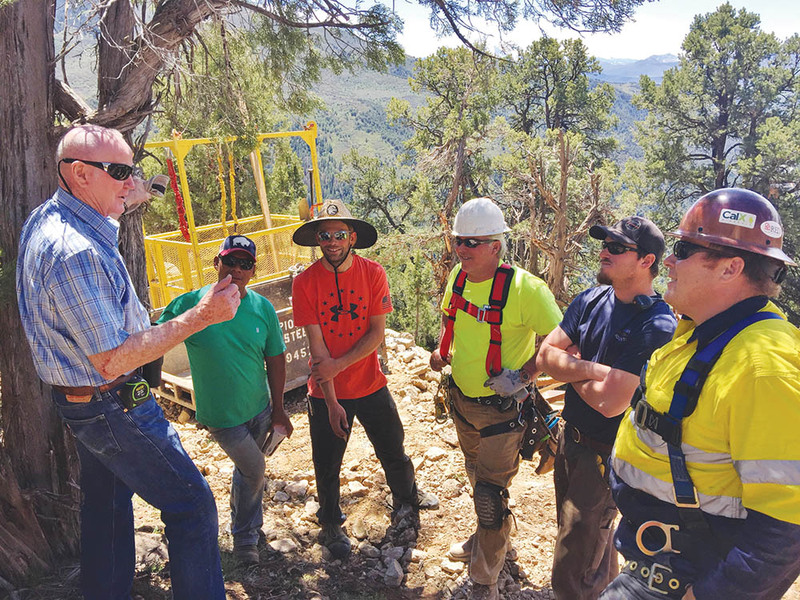 How did your Haunted Mine Drop project at Glenwood Caverns Adventure Park come about? My buddy who’s the owner there, Steve Beckley, whom I’ve known for years, already had two of my ziplines and a Screamin’ Swing ride from my S&S days perched on a 1,300-foot cliff. He asked me if I could do a drop ride into a mine, and I said, “Heck, yeah!” So, we got together and designed it. He brought a crew in with dynamite and jackhammers and dug out a 110-foot-deep hole in the ground. They had to keep blasting and chipping at the rock, and they actually to shovel a lot of it into buckets by hand and winch it up out there. We then lowered the ride tower into the hole and fastened it. It was pretty crazy. Can you describe the attraction? The ride bounces at the bottom and then you’re lifted back up. I hear they have something scary at the base of the shaft, but that should remain a surprise. Peering into the mine of childhood memories, what were some of your favorite amusements growing up? You know, I didn’t have that. My dad was a security cop and tried lots of things. But he never made it in anything and went bankrupt. So, I didn’t go to amusement parks. I’d go out to the barn or up to the lakes and make all kinds of big swings to jump from. [laughs] Just crazy stuff. When I got older, I knew I had to make money. I became a journey wireman, doing electrical jobs. I had to go to school on nights to get my certificate, and then I served as an apprentice for three years. Eventually, I bought a truck and trailer, sold everything I had and took my two little kids on the road. Back in those days, with a union card, you could call ahead to a business agent in, say, Corpus Christi, go down and give him your card and he’d put you to work that day. I’d work a week, two weeks, and move on. I went from one end of the country to the other and learned so much. If you name the product, I helped build the factory that made the product. What brought you back to making devices for fun? Quite a bit later in life, I heard about these guys jumping off of bridges on bungee cords in New Zealand. I got all excited about that. That’s what motivated me to start making bungee equipment and towers, for which I got my first patents. That got me going in this business. Did you have a guiding industry principle? I just asked myself, Okay, what thrills people? What thrilled all my kids when they were little was when I threw them in the air and caught them. I thought, Well, hell — just throw people 185 feet in the air and then catch them. That’s a true story. And that’s how the Space Shot tower ride was born. I built about 200 of those around the world, including the Big Shot on top of the Stratosphere Tower in Las Vegas. And the rest, as they say, is history. Are you content with your success? When I traveled all over as a journey wireman, I’d ask these guys I worked with, “What do you do?” “Oh, I’m a plumber.” And I’d say, “Well, what do you like to do?” “I go home, drink beer and go to bed.” Well, I swore to God that I would never have that attitude. Every day, I love my wife with all my heart. We disagree sometimes; she’s very loving and I’m kind of a dragon slayer. [laughs] We live in Providence, right up against the mountains. Because we’ve got 11 kids and 35 grandkids, I built a big recreation center with a bowling alley and pool tables and all these things like they’ve got at amusement parks. You’ve gone from creating fun for yourself as a kid to amusing your family to thrilling the general public. That’s an amazing, full-circle accomplishment. You know, I’m sitting here in my conference room looking at pictures of the Stratosphere and the big tower rides I did at Cedar Point and Knott’s Berry Farm. When I think about all the people who have screamed and smiled and laughed on rides I helped create — we’ve determined the collective ridership to be over a billion — I just choke up. I can hardly comprehend it. But it’s a good feeling. What thrills me is when I see people enjoying my inventions. One of the funniest things is when I go to a park and stand by one of my rides to watch, and some kid will say, “Are you going to ride it, Mister? You’re not too old.” And I think, You smart little sucker… I stood on top of it! This article appears in the August 2017 issue of Amusement Today.